Real estate personnel are now allowed to sell homes in manufactured and mobile home parks without first having to be licensed as a broker under the Arizona Division of Manufactured Housing, Department of Housing. MHCA’s task force on this topic, consisting of Greg Johnloz, Keith Vanderhout and Mel Comstock, are done with all of the forms real estate personnel will need to sell the homes. 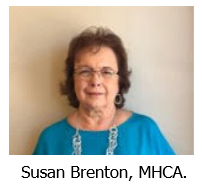 MHCA hired a law firm which works with the Arizona Association of Realtors (AAR) to prepare the forms, and then sent them to MHCA’s attorneys for review. AAR has shared the contracts and information on this law with their members and we should find some realtors interested in selling our homes. In addition, MHCA is preparing a three-hour class on selling homes in our communities and hopefully it will be approved as a class eligible for the continuing education required of real estate personnel. We will also be working with the 12 different Multiple-Listing Services in Arizona on this topic. Editor’s Note: the headline and the graphic/quote are provided by the publisher, as is customary. Free Trade or Economic War? Manufactured Homes – Access & Equity – a Key Cure for America’s Housing Shortages, Wealth-Building Says Activist Donald Tye, Jr.